- Octopus minion: "I made the legs similar to existing squid/octopus type robots, and went with Springer type eyes." - Stone mid-boss: "I felt it didn't have enough "mecha flavor", so I added to that while still sticking to the "Mega Man" vibe." 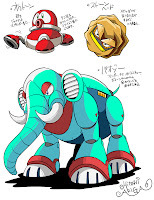 - Elephant mid-boss: "I thought this mid-boss didn't fit in well with the other mid-bosses of the series with respect to its proportions, so I tried to bring it closer to the dog mid-boss from MM2 and the hippo mid-boss from MM4." - Light Bulb mid-boss: "It kinda bugged me that his eyes were ovals, so I made them circles instead." - Ax minion: "The eyes on this one bugged me too. Looking back at the series, it was my opinion that this enemy should have had lenses for eyes." - Snowman minion: "Since there is already one eye on the body, this character would end up with three eyes once its head had taken shape. I altered the eye on the body so that it would look like a button instead once the head was in place. The eye is similar to the eyes used on the raccoon minion from MM6." 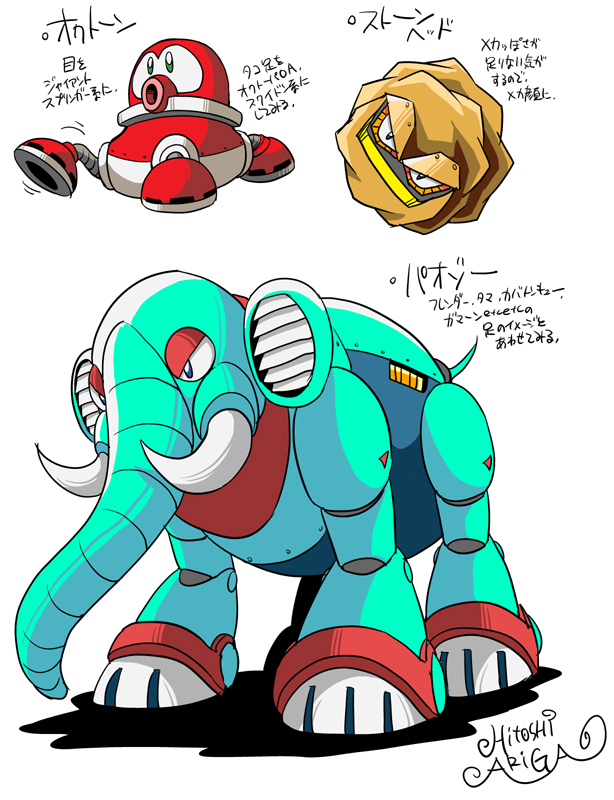 Seeing this only fuels my desire for an Ariga-esque Mega Man game. I think we're well overdue for something like that. 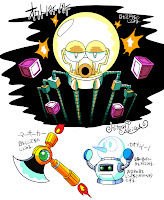 Ariga's style is practically begging to be immortalized in polygons, sprites, or what have you. One day, maybe. 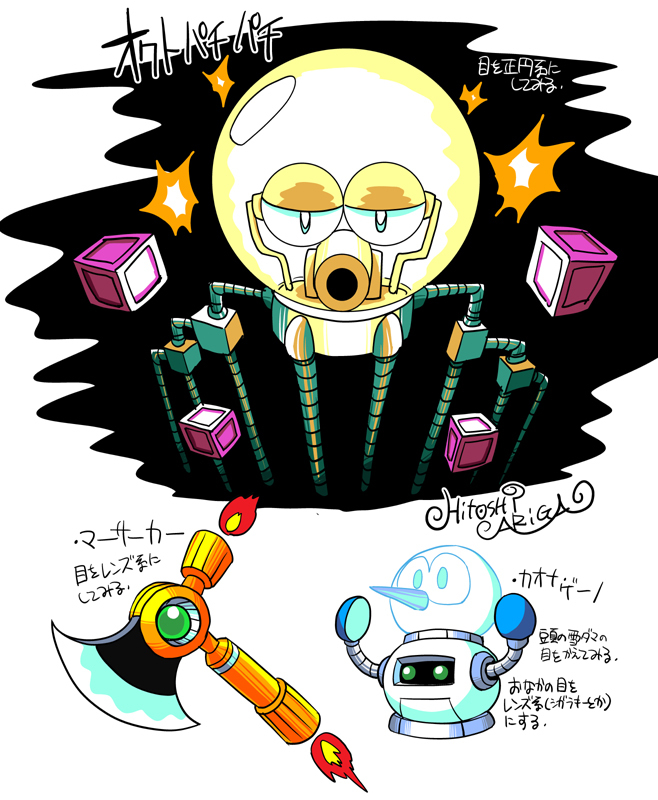 Ariga's deviantART is home to a wealth of personal illustrations of not only Mega Man stuff, but other video game characters as well. Be sure to check it out! It's so awesome to see Ariga refer to very specific enemies from the older MM games. This is fascinating. I really hope to meet him man someday.